Currituck County is an ideal place for almost any type of business. Our county is centrally located on the east coast, tax rates and energy incentives help businesses thrive, and we’re minutes from some of the best beaches in the country. So, Currituck County is a great place for commercial real estate brokers to bring their business and commercial clients. The Currituck County Economic Development recently announced a new Commercial Real Estate Property Listing Service now available for property seekers and sellers. The service collects, confirms, and combines property data from several listing databases into one – so you don’t have to. Presenting data like this is an integral part of any commercial real estate broker’s job. Clients want to see numbers and they want to have some assurance before they buy into any property. Currituck has the numbers and the data for commercial real estate brokers to utilize. So, they can sit down with their clients and discuss the advantages of doing business in our county in real terms. 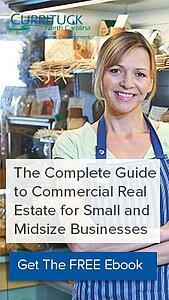 Commercial real estate brokers can also help by showing real value to their clients. Currituck has many values and benefit over and above other nearby areas. Low business, income and real estate taxes, along with training incentives and a nearby airport and seaport, are just a few examples of the value Currituck County, North Carolina offers. Stress the competitive business advantage, not just another location. Bringing the advantages of Currituck County, such as an educated laborshed and supported training programs, to clients shows creative thinking. It also reinforces that fact that you are focused on the business advantage of the choice of property.